As I wrote in my previous post (Conquering Mt. Manalmon), I am not an active type of person; not into sports, not into any exercise regimen except for a short walk from my office in Ayala Avenue to MRT station (Ayala-EDSA), which of course is hardly strenuous. 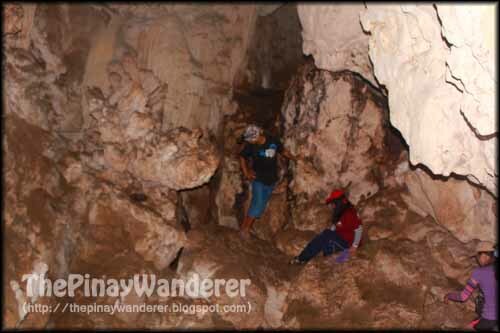 But would you believe that I went through (unexpectedly, that is) an extreme, life-threatening adventure during our spelunking at Bayukbok cave? Bayukbok Cave is actually a series of caves. It is composed of eight caves; the first six of which are connected on a single trail and are commonly explored by spelunkers, while the 7th to 8th caves on a separate trail. 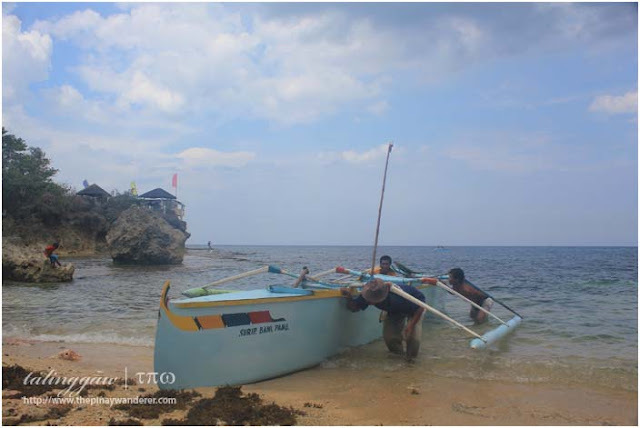 It is within the territory of Biak na Bato National Park, the location where our Katipuneros camped out during the revolutionary times. It is located in Barangay Sibul in San Miguel, Bulacan. 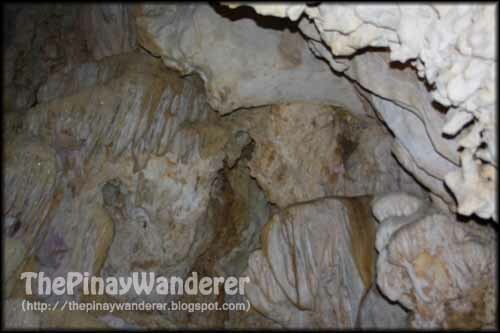 Spelunking the caves in Biak na Bato especially the Bayukbok Cave is usually a twin adventure of trekking Mt. Manalmon. 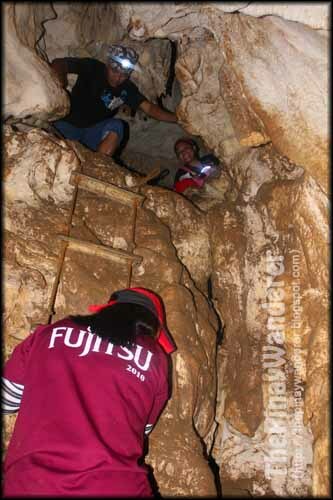 Our adventure in Bayukbok Cave starts with an uphill trek on a jagged rocky hill going to the entrance of the cave. 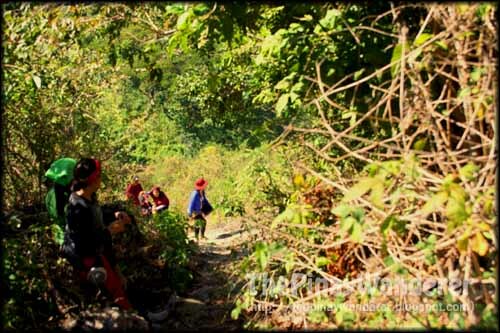 The jagged trail to the Bayukbok Cave, being a prelude to our adventure, should have given me a hint as to how hard this spelunking adventure would be (at least, for couch potato like me) but as first-timer, I just go with the flow; wherever my friends are going, I go (feeling adventurous din eh... :P). When we reached the cave, we saw that the entrance is a narrow passageway where you have to go sideways in order to pass through. I jokingly asked our guides if I could pass through it and they said that a lot bigger spelunkers went through it without any problem (am encouraged! hehe). But the real adventure began when we go down the cave. 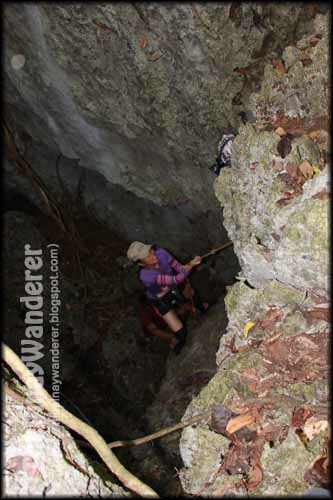 We have to rappel down the 14-feet high cave entrance without any safety gears. 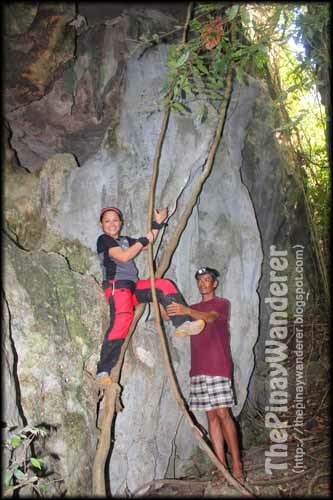 Before we go rappelling, we have to carefully go down the jagged cliff with just our hands and feet. With this, I got nervous; really, really nervous. I haven't done any rappelling before; not on the mall, not anywhere. But I still went through it, as everyone is going through it. And that is when the most life-threatening extreme adventure I've done in my life began. Out of fear, I can't force myself to go rappelling so the guide has to help me go through it. After reaching the bottom of the cave, I cried. I cried out of exhaustion, out of fear, out of joy; glad that I made it down safe and sound. Thank God! Our adventure continued by sliding down, crawling and going on with our hands and feet. And then here comes the next big challenge, climbing a makeshift ladder made up of rope and bamboos. Climbing this ladder was really a big challenge; it is not stable, it swings with your body every time you step on it. It requires upper body strength and firm grip (which I don't have) to go through it. Thank God and thanks to the guides, I made it. 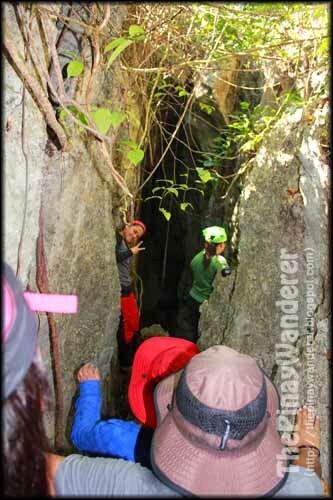 After the swinging ladder, we continued exploring the caves, again on our hands and feet. The cave's flooring is muddy and a bit slippery so we have to be very careful. And then afterwards, we got to a chamber where we saw amazing rock formations, sparkling stalactites and stalagmites. There is also this chamber in the cave that the locals call the music room. When the guide hits the rock wall of the cave, different sounds could be heard resembling that of a music sound. It's all amazing, really beautiful, worth all the hardships and body aches that we went through (but still not worth our lives hehe). After this chamber, a grueling and more difficult trek continued. We rock climbed; we went through several narrow passageways; and we have to bend, and crawl and flex our body to pass through. And there is this too narrow a space where I have to flatten my body and then flex it upward and then push myself up so I could pass. It felt as if I am snake crawling through a narrow space. Whoa, it's hard, really really hard! And then the most dangerous and most fearful part of this adventure; seeing that we are on a cliff where we have to cross to go to the other side. One wrong move or a sudden slip and we're dead. I always say to our guide then that I couldn't do it; that I can't make it; that I am afraid. But they would always encourage me, assure me that they were there to guide and help and protect me. And there is no turning back, anyway. They call this cave a traverse cave, you came on one end and out the other end, so I can't just stay and wait for them till they come back. At last we came to the end. Supposed to just slide down and then go swing a vine like Tarzan and then that's it, we're done. But maybe because of exhaustion and fear, I again can't force myself to slide down. The guide has to carry me on his back at the next step and then told me to grab the vine and step down. Thank God it's done. Thank God I'm alive. Thank God I'm out the cave safe. Thank God we're all safe. Exploring this cave is difficult; it's physically taxing, it's dangerous, and it's not recommended for first-timers (unless you're looking for really extreme adventures)! Before this, I thought caving is just going through narrow spaces, bending and probably crawling but I never expected to rappel, to climb a makeshift ladder, to rock-climb, to cross a dangerous cliff where if you happen to step on a wrong foothold or if you suddenly slip, you'll fall into a 14-feet deep ravine. Really, I find this adventure too dangerous! Am I glad I didn't know anything about this cave? I don't know, I am not sure. All I know is that if I knew beforehand that exploring this cave is too dangerous, I would probably not go through it. Am I traumatized then? Not really; it's just that maybe I really am not that adventurous, extreme adventures are not for me, period...hehe! A big thanks to our guides who were so kind and patient to us all but most especially to me, for helping us in every step of the way and for bringing us back to civilization. I really couldn't make it out of Bayukbok Cave if not for them. Thank you very much. And thank God for guiding us and protecting us all the way. Thank you LORD! Hanga namn ako sayo kinaya mo yan! 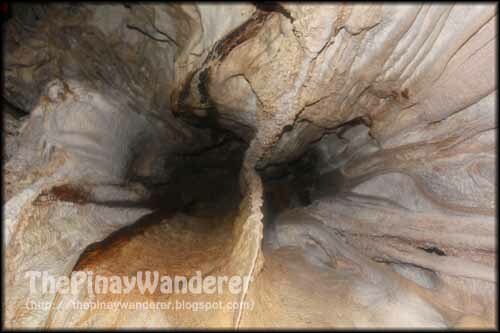 Gusto ko i try mag spelunking sa sagada bago manghina mga buto buto ko. lol! Go go go Anney! Gusto ko rin marating Sagada, sobrang natakot ako sa adventure na 'to pero parang gusto ko pa rin ma-try ang Sagada, bahala na...hahah! Bravo! Extreme adventure talaga ang peg mo dito, walang-wala ang helmet diving ko hahaha! more extremes in the future ;) good luck girl! This is action-packed! Wagi ang Pinay! Action-packed indeed! 'Yong wagi, hmmm, siguro...hahah! 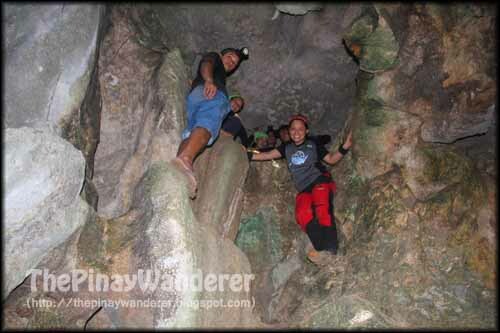 Try spelunking at Bayukbok Cave Edmaration, it's really exciting, my friends love it, enjoy silang lahat, ako lang ata natakot...haha! do you have hobby like that? 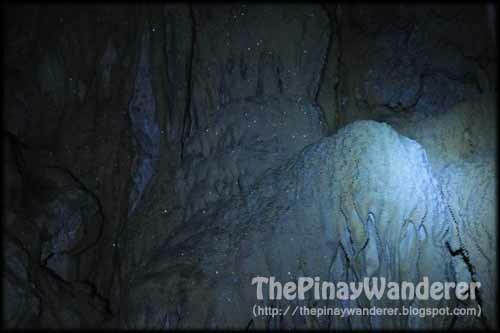 Have you tried spelunking in Sagada? as in cave connection? ibang level! Yeah, connected caves, that's how the locals described it. 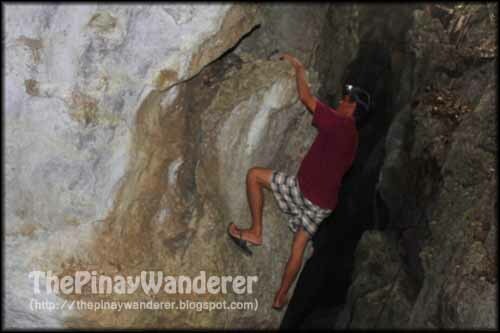 Haven't tried Sagada yet but I'd love to. Wish ko lang it's not as extreme as this one...hehe! Beautiful photos. I haven't tried spelunking yet. Maybe someday. I hope to explore a cave this summer. I'm going to my home province and visit one! mahilig din ako sa adventure at napapasama rin sa mga hiking kapag may pagkakataon. tulad ng karanasan mo, mahirap...nakakapagod at minsan hindi ka pa sigurado kung ano yong dadatnan mo sa lugar na pupuntahan. pero kapag nalampasan mo lahat yun..kakaiba ang pakiramdam. ang sarap! I heard it from friends too, haven't been to Sagada though. Tara, let's go to Sagada with Ysay...hehe! wow ang galing! nabilib ako sa iyo knowing you don't do things like this. scary yung cave! hehe i don't think i can do it..
Hi Violy, thank you for visiting! Spelunking, specifically this cave, is really hard, dangerous too. But with proper training and enough preparation, you can do it. 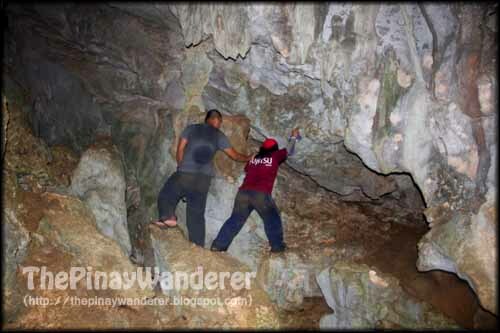 I'm not prepared ng ginawa namin 'tong adventure na 'to kaya mapi-feel mo sa post na 'to ang hirap at takot ko, and hindi talaga ko extreme adventurer, napapasubo lang kung minsan, hehe.